"I double the recipe and put in a glass baking dish (9x13 inches). Nice for holidays . . . Keep it for a secret and family and friends will think you worked forever on it . . . (smiles). 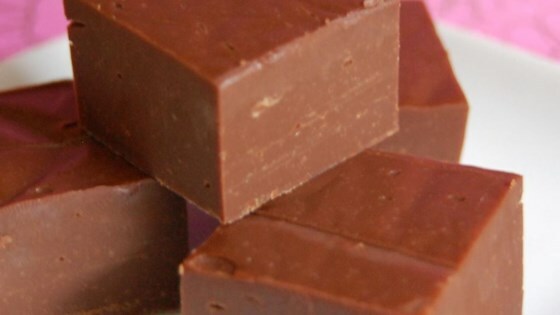 You can also use peanut butter chips and make peanut butter fudge." I used milk chocolate chips instead of semi-sweet morsels. I took this to a Christmas party and everyone loved it!!! This recipe is so easy and so good!!! Thanks for sharing!